It smells like apple candy but with a little extra. The taste is kinda different - apple, yes, but there's the extra in there that is obviously gourd. I was expecting more pumpkin pie with sweetness and spices but this is really more straight raw pumpkin. 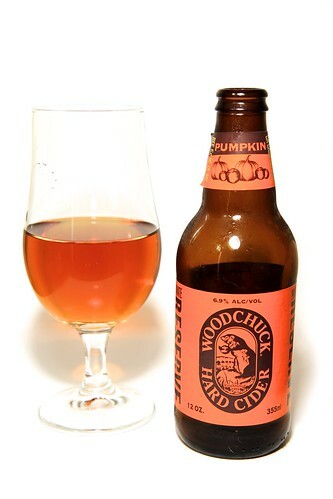 It does add a nice depth of flavor which I am finding I like in ciders but I'm just not sure if I'm a pumpkin girl. As it warms, I get a sweet vanilla note and I quite like that. I think I might have to try the second bottle closer to room temperature to see how I like that. The smell is champagne and mild feet. I don't think I get mint on there other than a note that transforms apples into champagne. It smells very dry. The taste is very bright and, yes, there is mint. It's sweet but not over powering and gives a nice tingle on my tongue. 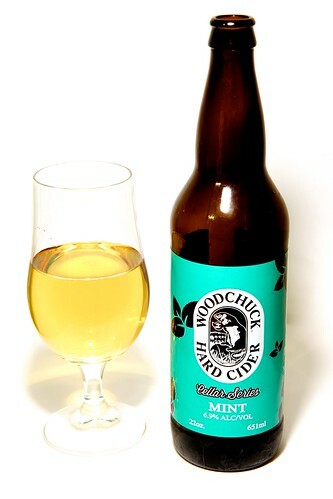 This does hit the sparkling white grape juice note more than apple cider but I do like it, especially the sweet yet slightly earthy mint at the end. It's not my favorite cider but I approve of its uniqueness. 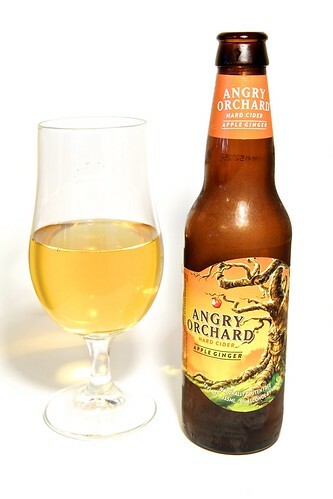 I prob like the cheese flavored cider more but this is similar in style/sweetness/lightness to the Crispin so yeah, I like it well enough. This one smells of apple, good funk, crackers and some fermented fruit that isn't apple. Almost a prickly pear. Taste is interesting. It makes me think of rotten rubber band fruit. There's something in the aftertaste - it's so fruity and sour - that all I can think of is rotten fruit. Which is a shame because the first part of the taste seems like it would be a good beer substitute as it isn't overwhelmingly fruity or wine cooler, but rather something with a little funk and personality. Great potential, but disappointingly not for me. The smell is very sweet and apple-y, like candy. It's very nice. Candy sweet can have its place. The taste is interesting. It very apple-y on the front end and very ginger-ale on the back end. 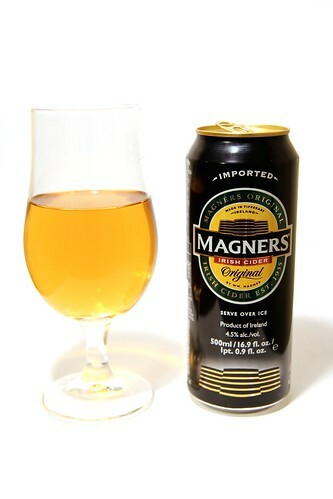 The ginger gives it a nice balance to the sweetness of the apple so it's not just candy sweet. It also gives the flavor just enough earthy funk to make it super tasty. This one is one of my mom's favorites and I can totally see why. Nice flavor, great balance. This is up there with the Woodchuck Belgium for me. Definitely going to have to buy more of this. When you buy more, buy a 6-pack for me! I drank the last one last week and can't find it anywhere in this part of the country. :( Glad you are enjoying it too.